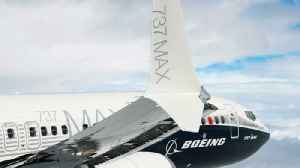 The Wall Street Journal reports that the U.S. Department of Transportation is investigating the Federal Aviation Administration's approval of Boeing Co's 737 MAX jetliners. 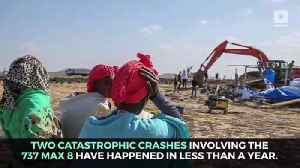 News of the probe comes in the wake of an Ethiopian Airlines crash last week that killed all 157 people on board. The FAA is under a U.S. investigation over the Boeing 737 MAX. That's according to the Wall Street Journal on Sunday (March 17). 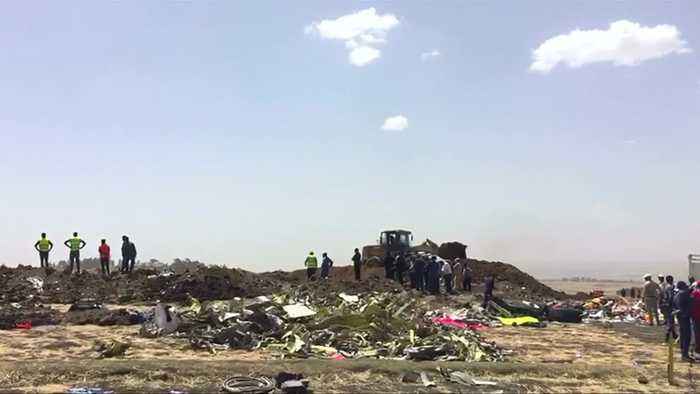 News of the rare probe into the Federal Aviation Authority has come to light following the March 10th crash of an Ethiopian Airlines jet that killed all 157 people on board. 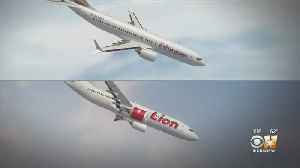 That plane was a 737 MAX 8, the same model as a Lion Air jet that crashed off the coast of Indonesia last year. 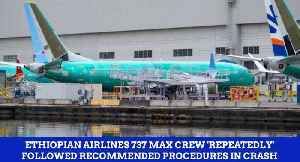 The Journal report says the investigation was actually launched after that first crash and is focused on the FAA's approval of the MAX 8 aircraft. 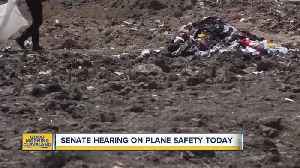 Authorities are reportedly looking at whether the FAA used the appropriate standards and analyzes when it certified the plane's anti-stall system. 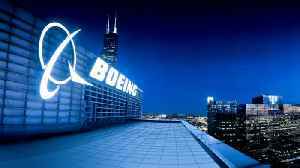 In the wake of the Lion Air crash, Boeing said it's been working on a software upgrade for the planes, as well as updating training for pilots that fly the model. But in the meantime, governments have grounded all of the MAX jets worldwide, a situation that U.S. President Donald Trump said he hopes is short-lived (SOUNDBITE)(English) UNITED STATES PRESIDENT, DONALD TRUMP, SAYING: "The grounding was a big thing. And it's a great company, it's a truly great company, and hopefully they'll figure it out very quickly." 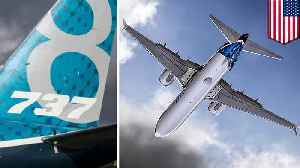 Investigators in France are analyzing the jet's black boxes in search of clues as to what might have caused the crash. Ethiopia says early results point to "clear similarities" with the Lion Air crash last October. Both crashed minutes after take-off after pilots reported problems with flight control. 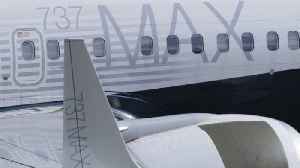 A spokesman for Boeing said the 737 MAX was certified with the exact same requirments that the FAA has used for all new planes. Ethiopia says it's working to confirm the identity of all 157 victims with DNA tests On Sunday families held symbolic burials in Addis Ababa. No bodies have been recovered to lay to rest. Families were only given charred earth to bury.